Smashing Pumpkins "One and All"
Alt-rock veterans the Smashing Pumpkins are gearing up to release a new album called Monuments to an Elegy next month. We've already heard the release's "Being Beige," and today the group return with a song called "One and All." The song's a solid addition the band's long, varied discography. 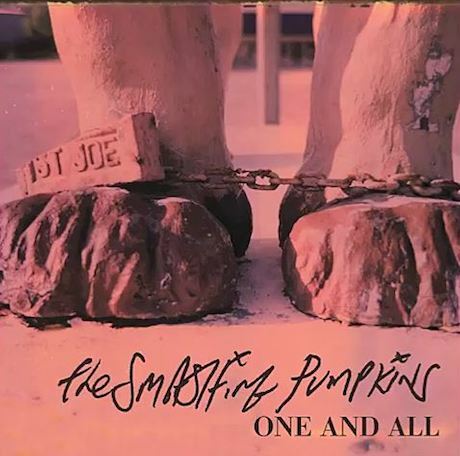 Built on muscular guitars, Billy Corgan's timeless vocals and some hard-hitting rock drums from guest Tommy Lee, "One and All" is an anthem that suggests the Smashing Pumpkins may actually still have some good songs left in them. Listen to "One and All" below. Monuments to an Elegy will arrive on December 9 via the band's new label home at BMG.